The popularity of American Idol and the ensuing successes of the artists have been documented on this blog before. With Kelly being a season one winner, today’s artist did not win the contest, but has certainly made a name for himself. He formed a band and has made a serious dent in the music industry since coming up short in the fifth season. In 2006 the band Fuel was looking for a new lead singer. Fresh off being runner-up on Idol, Chris Daughtry was not only offered that position, but many others like it. Instead of taking any of those offers, he felt it best to branch off and do his own thing. In July he signed with RCA Records, the same label that contracts Kelly Clarkson and Kellie Pickler from the show. Needing a backup band, Daughtry and the execs held auditions and hired two guitarists, a bassist and a drummer (three of those four are no longer with the band, but that’s another story). Upon formation, the label made the decision to name the band simply ‘Daughtry’ in order to keep the momentum from the show and attract a wider audience than the rock fans the actual music would appeal to. The band’s self-titled debut album was shockingly called Daughtry as well, and was released in November of 2006. The lead single ‘”It’s Not Over” was put out for radio play immediately to coincide with the release. The track was a big hit, even being nominated for Best Rock Song and Best Rock Performance by a Duo or Group with Vocals for the 50th Annual Grammy Awards. After debuting at #2 on the charts and selling over 300k copies the first week, the album was deemed commercially viable, and pushed harder in the market. Through 2009 Daughtry stayed as one of the top 100 selling albums of the year. It was promoted by the band, the label and was still being used in various TV shows, commercials and movies. 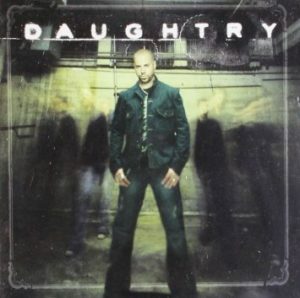 To date, it has sold nearly 10 million copies worldwide and has been certified 5x platinum in the U.S.
Critical response to Daughtry’s debut effort was mixed. Having that American Idol stigma attached to anything is both good and bad. While many felt it was the first actual “rock” album to be produced by a former contestant, they also felt it was still so polished that it was unoriginal and too commercialized. If you had no idea who this was and you heard a few tracks, you might think it was the new wave country/rock mix—it has that sort of feel. Admittedly, once you know the background, it is hard to separate the pop from the music, but that’s not to say some of the songs aren’t good. There’s no doubt Chris can sing and that comes through well in the album, you just have to be okay with the made-for-radio format and editing. With Idol being over forever (well, at least for a few years when Fox gets desperate and tries it again), give this one a shot today. I think you’ll note it’s a solid Idol record, and for the price of a $5 footlong, you can’t go wrong.